Patagonia demonstrates that businesses can be both radically responsible and highly profitable. At Patagonia, there is no contradiction between saving the world and the bottom line. 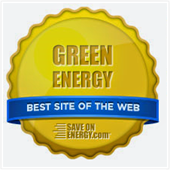 The company is world-renowned for its environmentally friendly way of doing business. 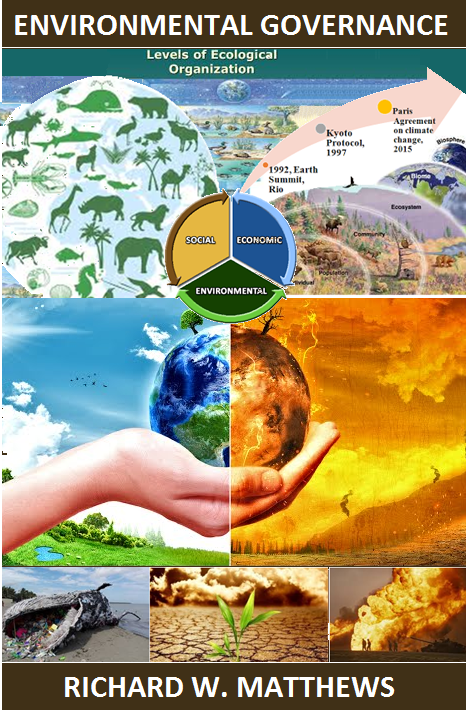 They submit to rigid environmental and charitable standards, and they publish annual progress reports. They also earned 800 million in annual revenues in 2017 and they have a global presence including 16 US states. Patagonia is at the leading edge of sustainability and they are at the forefront of a wave of corporate goodness. The importance of this iconic outdoor gear manufacturer at this junction in history should not be underestimated. Patagonia is more than just a source of inspiration they are a model that others can follow. 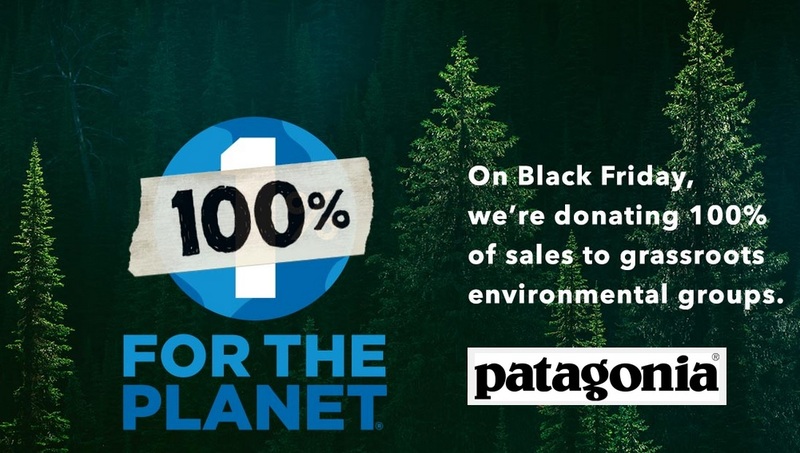 Patagonia is leading the way forward by challenging injustice at the highest levels including the monsterously irresponsible US commander-and-chief. Patagonia consistently ranks among the world's most ethical companies. Headquartered in Ventura, California Patagonia is part of the outdoor recreation industry which provides 7.6 million jobs and generates $887 billion in annual consumer spending. 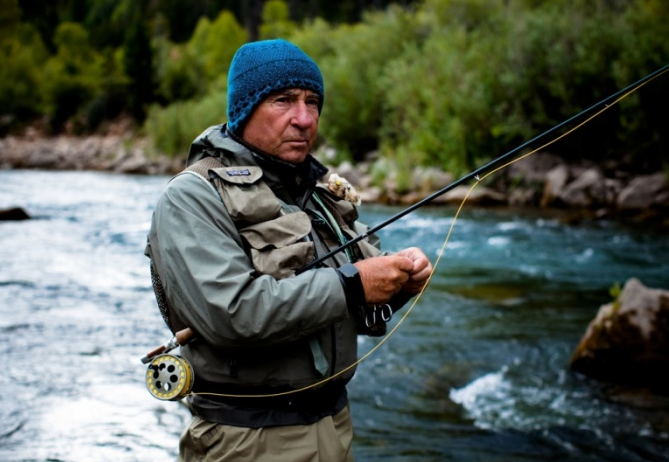 Patagonia CEOs have a long history of nature conservation. The company's first CEO, Kris Tompkins donated more than a third of a million acres of land in Argentina to create the country's largest nature preserve. Tompkins and her late husband also bought and preserved vast swaths of land in Chile. The owner and founder of this model company is Yvon Chouinard, he started Patagonia in 1970 and he will be remembered by future generations as a man who showed us how it is done. As explained in a Fortune article, it was Chouinard that attracted current CEO Rose Marcario to come and work for the company as COO in 2008. Marcario became CEO in 2013, she worries about climate change and the loss of natural world. Marcario is a Buddhist whose spirituality is reflected throughout the company she leads. You would expect nothing less from an organization with a business model that literally seeks to save the world. while other business leaders suffer from myopia, Marcario is adept at seeing long term impacts. Rather than slow sales Marcario's approach has grown profits at an astounding rate. Marcario's previous executive level positions led her to question greedy corporate cultures which she saw as both unethical and unsustainable. Forward looking businesses know that radical change is the order of the day and Marcario is just the person to deliver these changes. Chouinard explains that Marcario, "understands the need for revolution". Marcario is at the forefront of a new brand of capitalism that considers impacts on future generations. Marcario understands the power of leadership and she knows what she has to do. She asks questions like, "how can we make it uncomfortable for other businesses not to follow us?" Patagonia is staffed by people from all walks of life. The company represents not just the best of the business community but the best of America. The company's CEO is a gay woman who recalls how her Italian grandfather first arrived in America and worked for 10 cents a day digging the streets of Manhattan. He was subject to all manner of abuse with people regularly spitting on him and calling him names. Marcario recalls that her Grandfather endured the indignity because he wanted a better life for his offspring. Patagonia's workforce includes a roughly 50/50 split between men and women including at the highest echelons. The "Footprint Council" a group of 10 Patagonia leaders, includes 7 women. The team scrutinizes sustainability in the company's operations. This council has decades-long time horizons that stretch all the way to 2050. In addition to sustainable processes they oversee efforts ensuring that their workforce earns fair wages. Patagonia is a champion of living wages as evidenced by their support for Fair Trade. As reported by Sustainable Brands, since the company began to focus on Fair Trade garments in 2014 more than one third of Patagonia's apparel has been certified. This includes two of its best selling items the "Better Sweater" and "Synchilla Snap-t ranges". 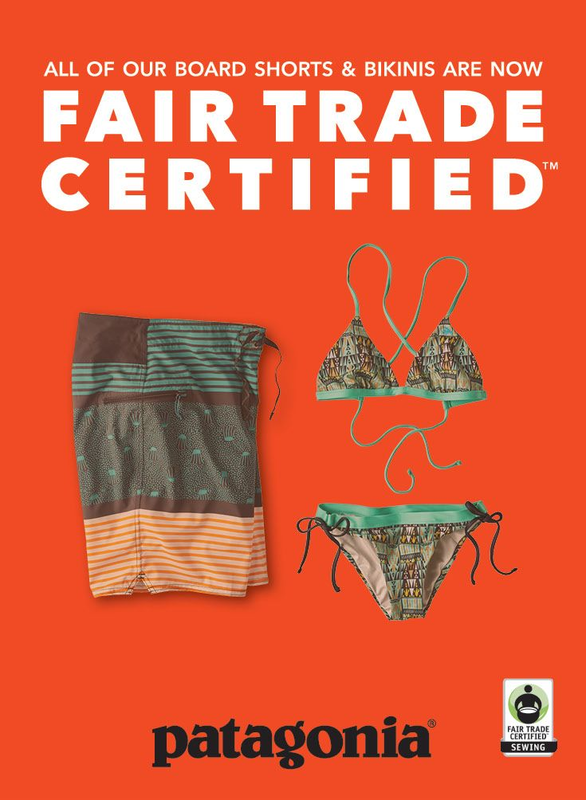 Last spring the company launched a Fair Trade Certified line of board shorts and bikinis. As of last fall Patagonia had 480 Fair Trade styles that are manufactured in 14 different factories. These efforts benefit more than 26,000 workers through things like cash bonuses and health programs. Patagonia encourages employee activism, including protests. They even allow employees to hold meetings related to engagement after hours in retail stores. They also urge their employees to volunteer and get involved in the communities in which they work and live. "The science is telling us loud and clear: We have a problem. By getting active in communities, we can raise our voices to defend policies and regulations that will protect wild places and wildlife, reduce carbon emissions, build a modern energy economy based on investment in renewables, and, most crucially, ensure the United States remains fully committed to the vital goals set forth in the Paris Agreement on climate change." Patagonia has patented innovations like a biorubber wetsuit made from a dessert shrub and a textiles made from protein based silk. They also strive to keep their apparel out of landfills. They collect and refurbish their old gear which is made largely from recycled and recyclable materials. Patagonia has partnered with California-based biotechnology startup Bolt Threads to develop revolutionary new sustainable textiles that are being described as products for the future. Bolt threads has secured tens of millions worth of financing for its "Engineered Silk™ made of natural proteins. These durable materials are far less harmful for the environment than hydrocarbon polymers like nylon. 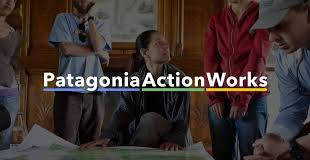 Patagonia Action Works, is the company's newest program and it is described by Chouinard as a 'dating site' to connect environmental protection groups and activists. As reported by TreeHugger, the Patagonia site allows visitors to do geographical searches to connect with groups engaged in a wide range of environmental protection work. Patagonia's community focus and its promotion of recycling and reuse are part of the company's endless quest to improve. They have launched a string of innovative programs that reflect their core values. As part of its campaign called 1% for the Planet the company donates one percent of its global sales to environmental causes. Patagonia has gotten behind a number of conservation initiatives. In 1988 the company launched a campaign to restore Yosemite Valley. The firm's food division only uses organic ingredients and the employee's retirement plans are invested in sustainable and eco-friendly funds and businesses. 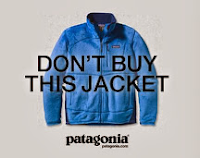 Patagonia encourages responsible purchasing urging customers to buy only what they need. Their Common Threads campaign said: "Don’t Buy This Jacket". The idea is to combat the culture of excess and waste through a combination of five principles: Reduce, Reuse, Repair, Recycle and Reimagine. Another program called "Worn Wear Swaps" keeps Patagonia clothing in use and out of landfills. Patagonia also employs 45 full-time repair technicians.. In recent years e-commerce has grown by leaps and bounds and consistent with their mission they mail their products in recyclable bags. Patagonia is also a B-Corp company, they lead in workplace safety, child-care benefits and an on-site daycare. Patagonia has also launched a venture capitalist arm to help fund responsible companies. However, Patagonia is not perfect, no company is. They have had their share of problems. What sets Patagonia apart is the way it handles these issues. When an internal audit revealed that Patagonia may have partnered with Taiwanese suppliers engaged in forced labor, they immediately crafted standards to reduce the likelihood of a recurrence. Patagonia's investments in renewable energy are both responsible and profitable. The company has put solar panels on its roof at its Ventura California headquarters. However, they also generate a profit through micro-solar projects (aks community solar). In 2014 Patagonia provided $27 million to install solar on 1000 Hawaiian rooftops. In 2016 Patagonia invested $35 million to install solar panels on more than 1,500 US homes on the US mainland. Both these projects are profitable. The fact that solar is being sold for a profit will help expand the industry by encouraging others to get involved. "As a company, it very much aligns with the DNA of what we do, and that’s [to] use business to inspire and influence environmental solutions," Phil Graves, director of corporate development at Patagonia told The Guardian. "We’re very passionate about moving away from fossil fuels and finite resources in every aspect of our supply chain." Patagonia has given companies free access to patented product innovations like their biorubber wetsuit and successful business strategies like their micro-solar power plants. They are openly sharing their know-how with other companies.The company also guides other businesses through B-Corps and other channels. In stark contrast to Trump's propensity to divide people, Patagonia sees environmental and climate issues as something that unites people. Publically challenging Trump is one of Patagonia's most courageous initiatives. This effort started before Trump was elected. Ahead of the 2016 election Marcario spearheaded a $1 million campaign to get out the vote. To support this effort they closed their stores to allow employees and shoppers go to polling stations and cast their vote. 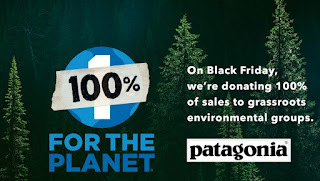 After Trump was elected on November 8th, 2016 Patagonia staged a Black Friday campaign unofficially titled "fundraiser for the earth". All of their in sales ($10 million) were donated to environmental organizations. The concept was born as a way to draw attention to the planet after a well-known climate denier and fossil fuel advocate, was elected president of the United States. Patagonia was among a number of companies that vociferously opposed Trump's withdrawal from the Paris Climate accord. 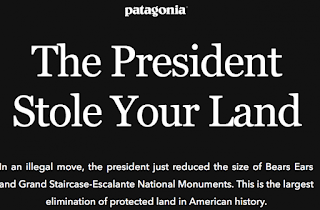 In a laudable display of leadership, Patagonia is leading the charge against Trump's decision to kill national monuments. The Huffington Post reports that Patagonia is also considering supporting pro-environment candidates in the 2018 midterms. Patagonia's politics are unapoligetically left of center. Over the last 27 years, Patagonia employees have contributed a total of more than $56,000 to the Democratic Party and only $500 to Republicans. Patagonia puts its money where it mouth is as the leading voice opposing Trump's virtual elimination of some national monuments. The company refused to participate in Utah's Outdoor Retailer show after Governor Gary Herbert urged Trump to repeal the monument status of Bears Ears. There were also similar statements from other outdoor gear manufacturers including Black Diamond prompting the show to look for a new home outside of Utah. In addition to a vast section of Bears Ears, Trump eliminated much of Utah's Grand Staircase-Escalante national monument. Because of Trump, almost 2 million acres of land has lost its national protection. This is the largest reduction in protected land in US history. 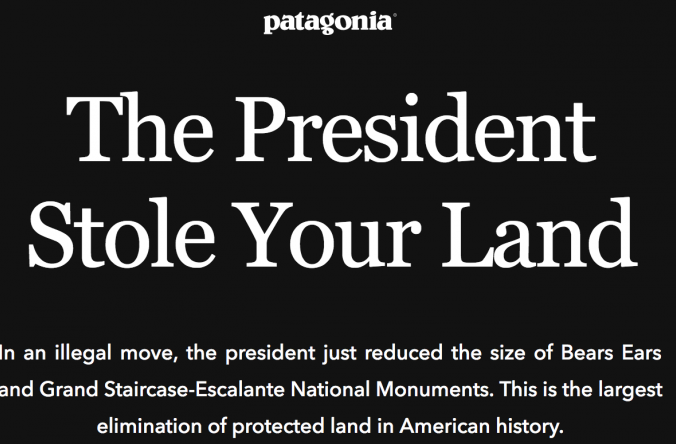 Patagonia's efforts to protect national monuments include a campaign titled "The President Stole Your Land". Patagonia has also launched a court challenge in defense of Bears Ears and they will help support other non-profits working to protect other monuments. The goal is to protect these lands from mining, logging and oil extraction. "We feel that we have to pull out all the stops at this point," Hans Cole, Patagonia’s director of environmental activism told GQ. "This is not a time to sit back and let any tool available to us go unused." Patagonia is championing this cause in part to help support the sacred spaces of native people and the 100,000 archaeological sites contained within the Bears Ear monument. "It's really more about the responsibility we have," Cole says. "If we're going to have fun and enjoy and recreate and have people use our products out there we have a responsibility to help take care of these places. That's what motivates us." Chouinard went even further calling the Trump administration an "evil government" and explaining the lawsuit by saying, "We're losing this planet...I'm not going to stand back and just let evil win". While Patagonia has led the charge others including REI and North Face are stepping up to oppose Trump's move against national monuments. "I find it disingenuous that after unethically using taxpayers’ resources to call us liars, you would ask me to testify in front of a committee for a matter already decided by the administration and applauded by the Utah delegation just a week ago. A macabre celebration of the largest reduction in public lands in American history. 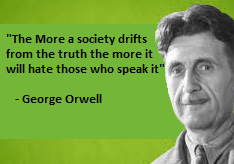 It is clear the House Committee on Natural Resources, like many committees in this failed Orwellian government, is shackled to special interests of oil, gas, and mining and will seek to sell off our public lands at every turn and continue to weaken and denigrate Theodore Roosevelt’s Antiquities Act, which has preserved our treasured public lands for over 100 years.The American people made it clear in public comments that they want to keep the monuments intact, but they were ignored by Secretary Zinke, your committee, and the administration. We have little hope that you are working in good faith with this invitation. Our positions are clear and public, and we encourage you to read them." Patagonia took out almost $700,000 worth of TV and radio ads in Montana and Utah to oppose the Trump administration's move against monuments. This is the first time that Patagonia has run a TV ad. Bschool.com's "10 Great Companies Who Were Green Before It Was Cool"